Today I am showing you how I make learning centers for my students. 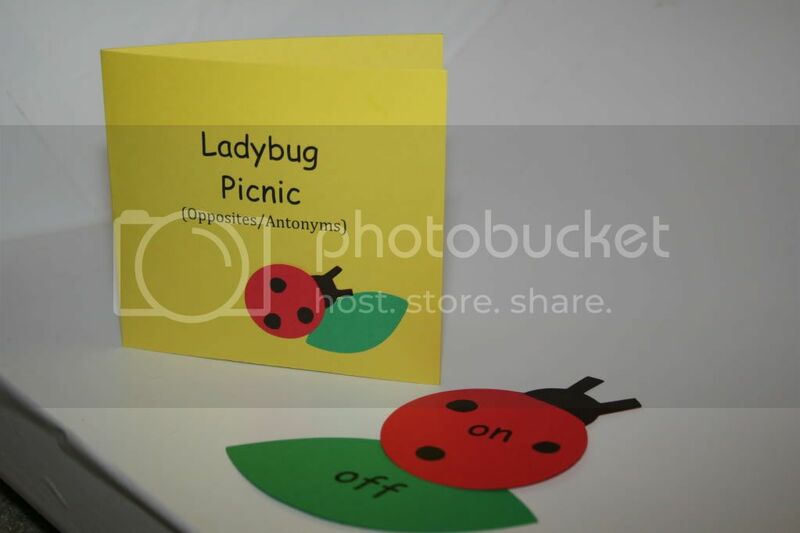 This particular game has ladybugs and leaves to match pairs of opposite words. One of my favorite tricks is to make good use of the Avery templates found in Microsoft Word. 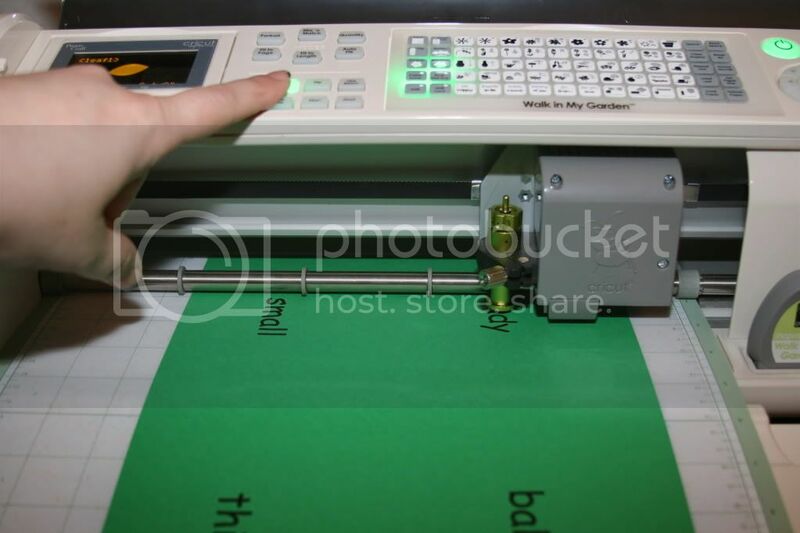 There are templates preset for labels, envelopes, business cards, post cards, etc. These are great friends for teachers. The business cards and postcards are especially useful to make flashcards, game cards, and learning centers, like I'm making today. 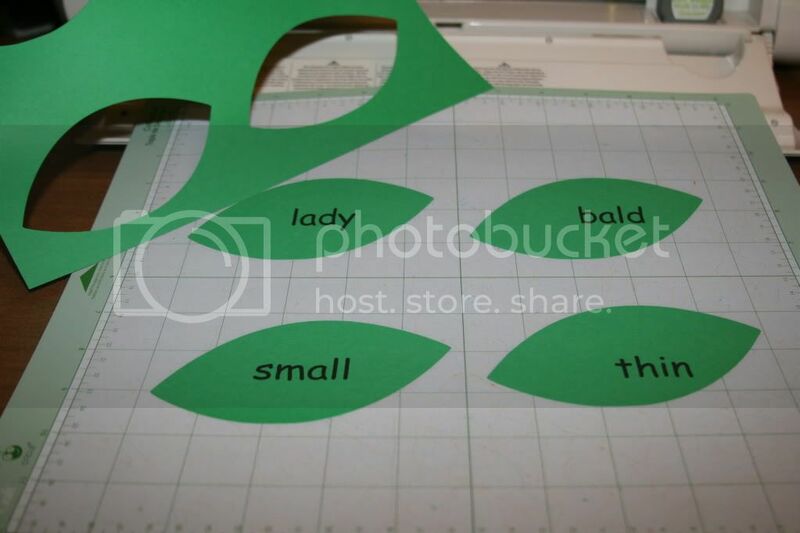 Type and print your desired words and phrases onto colored cardstock. This is a quick extra step that gives your finished product a neat appearance, in my opinion. 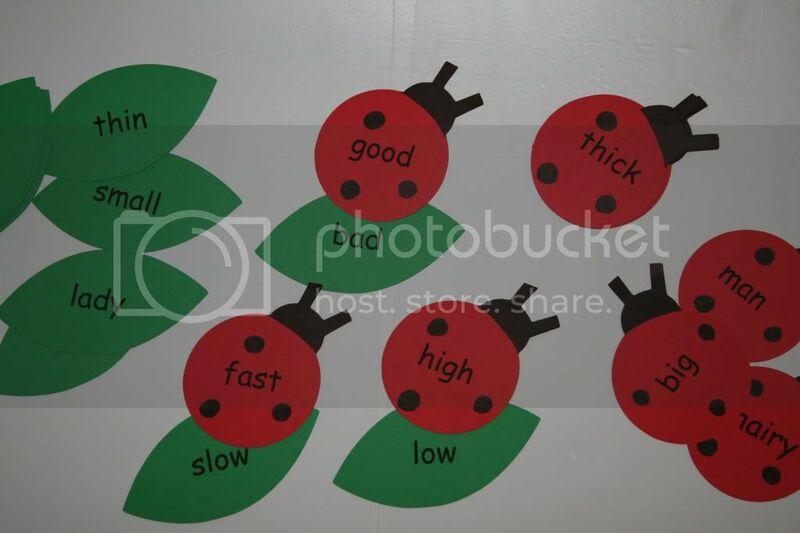 You can always skip this step and hand write your desired words or phrases on the shapes. I printed four words on each page, they are automatically centered because of the postcard template. I use the "center point" feature on my Cricut Expression to cut each game piece. 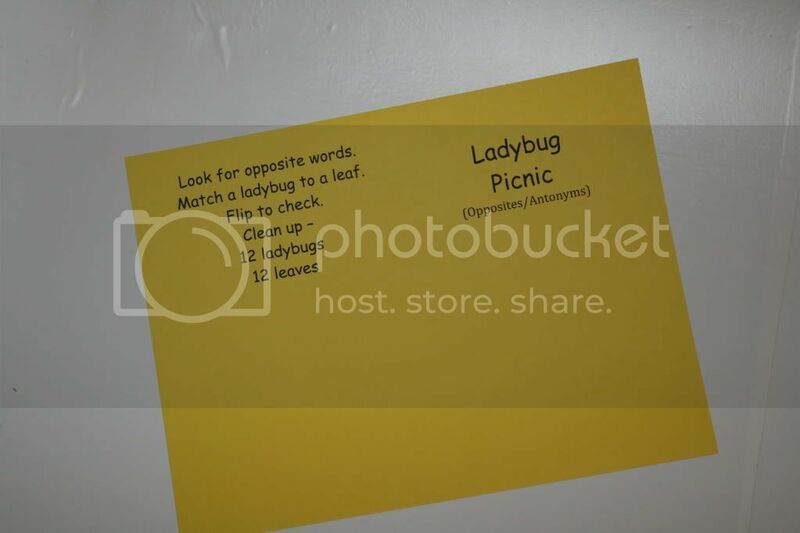 With a little decoration with a Sharpie marker, you have cute ladybugs and leaves. Normally I would use the layer functions, but I do not used many layered images when making classroom games because the multiple layers do not always laminate well. If I am taking my time to make learning centers for my students, I almost always laminate them so they are more durable. 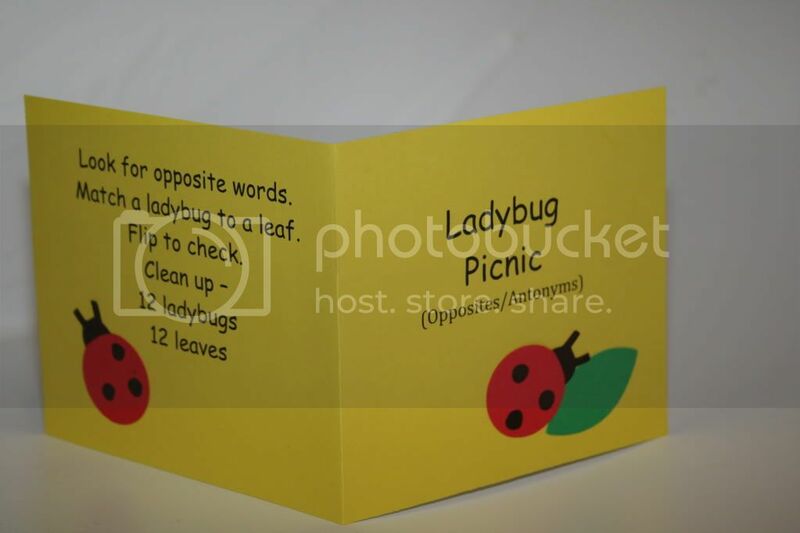 These are the ladybug and leaf images, blackout feature, from "Walk in my Garden" Cricut cartridge. 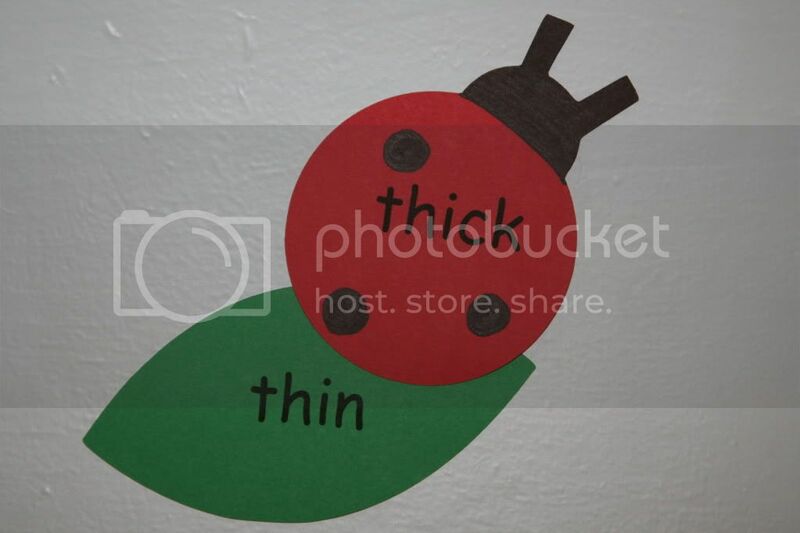 The ladybug is cut at 4 inches, the leaf is cut at 2 1/2 inches. Now let's make something easy, functional, and cute to store our new learning center. Here you see the little folder I made to keep all the game pieces together. It has a title on the front cover, instructions on the back cover, and two pockets inside for holding all the shapes. 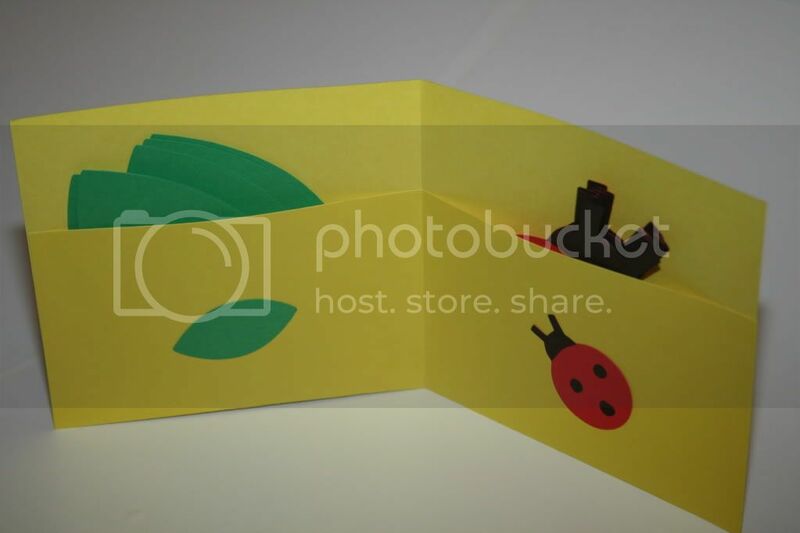 It is folded and put together with adhesive on the edges. I always tell my students in the directions how many pieces are in the learning center. Hopefully, when they have completed their independent practice and are cleaning up, they will check to make sure all the pieces are back in the game. I hope you've enjoyed this little game. Matching games are quick and easy with the Cricut. You can use this same idea in your classroom for many different skills. I have one more opposites game to share with you, so check back tomorrow! Becky, you are so creative! Love it! Your tutorials are just what I need. I use my Cricut to make games and center activities all the time. I have never been gutsy enough to use the center point to cut around words. Thank you for sharing. I was finally able to use the center point feature to cut around words, thanks to you. My first graders still need practice with contractions. I think my first project will be flowers and leaves. which cartridge did you use for this?? I LOVE using my cricuit for my students, so super cute! How did you make the folder?